I have been known to hunker down with an idea and spend literally years with it. I will let it have its way with me, and then I will pursue it. 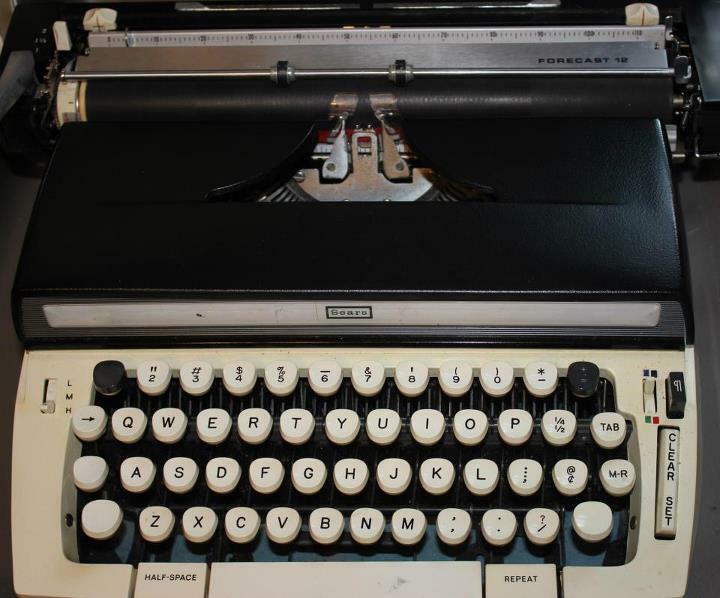 Then I get bored with it, but it starts talking to me and I come around again — it’s very much like a marriage. I love the writing process so much that I’m often reluctant to write “the end.” (Wait, does anyone actually write “the end” anymore?) But part of committing to your ideas is also knowing when it’s time to say goodbye. Or, maybe a better way to say it is knowing when to allow others into the conversation: i.e. readers. Because then the characters cease to even seem to be your own (you know they never were, right?) and they belong to everyone. But that’s what it’s all about. So commit to your ideas, but in order to be successful you need to be a serial committer: once you’ve finished your part in that story’s life, trust that the next idea will be waiting. And it will be. If it’s not, drop me a line. I’m full of ideas. Vermeer’s “Girl with a Pearl Earring” Coming to the US! If you haven’t read Tracy Chevalier’s novel “Girl With a Pearl Earring,” perhaps you have seen the eponymous film. Or perhaps you have been residing under a large rock. Well, here is our (because I want to see it too!) opportunity to see the painting that inspired them both. Not much is known about the painting, other than that it was painted by Johannes Vermeer. We don’t even know the year he painted it (circa 1665) and whether or not it was commissioned, though recent evidence seems to suggest it is meant to be a “tronie,” which is a Dutch term for a painting of a head not meant to be a portrait. Intriguing. The restoration work indicated that the background was meant to be a deep green, but that the background darkened significantly over time. The exhibit, “Girl with a Pearl Earring: Dutch Paintings from the Mauritshuis,” features 35 important paintings by Dutch Golden Age masters including Vermeer, Rembrandt, Fans Hals and Jan Steen and will be stopping in the United States first at the de Young Museum in San Francisco from January 26 to June 2, 2013. Then the paintings will next go to Atlanta’s High Museum of Art from June 22, 2013 through September 29, 2013. From there it will make its last stop at The Frick Collection in New York City from October 13, 2013 to January 12, 2014. After that they will make their way back to the newly renovated Mauritshuis in the Netherlands. 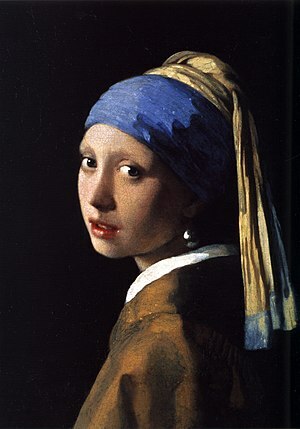 Other paintings in the collection include: Johannes Vermeer, “Girl with a Pearl Earring,” ca. 1665, Carel Fabritius, “Goldfinch,” 1654, Rembrandt van Rijn, “‘Tronie’ of a Man with a Feathered Beret,” ca. 1635, Jan Steen, “The Way You Hear It, Is The Way You Sing It,” ca. 1665, Jacob van Ruisdael, “View of Haarlem with Bleaching Grounds,” 1670–1675. I don’t know about you, but I intend to move heaven and earth (or maybe it will just take moving my car) in order to see this exhibition! Why couldn’t it have happened to me? Well, at least it happened to someone so that ALL of us could benefit: a woman bought a box of stuff at a flea market, rooted around in it and noticed a framed painting that caught her eye. Upon closer examination she realized it was signed “Renoir.” Experts have said that yes, indeed, this woman who chooses to remain anonymous has found a painting believed to be lost: Renoir’s Paysage Bords De Seine, a scene painting along the Seine River — a river my husband and I walked along several Paris days and nights in July of this year. The painting, sold in France in 1925, was later sold to a Maryland collector, Herbert May. But just how the painting got from Mr. May to a box of junk sold for under $50 in Virginia is unclear. The painting will be auctioned September 29. This is a case where a painted that wasn’t even known to be missing turned up, so maybe there is still hope for those paintings we are still looking for! In any case, I think all of us will be taking a closer look at boxes of bargains at flea markets and garage sales near us. UPDATE: The auction did not happen. Why not? Because it was discovered that this painting was stolen from the Baltimore Museum of Art in 1951. Well, even though the painting will likely not net a financial boost for the “lucky” finder, it does return a piece of art to the world. She can be proud to have been a part of the process. S.O.S. Post: A Worthy Fundraiser AND a Chance to Win! I was contacted to give books for a very worthy cause. Please see the link below and consider giving if you are able. This is a cause near and dear my heart. You will have the chance to win (among many other cool items!) a signed copy of my Chicken Soup for the Soul: The Magic of Mothers and Daughters. A family is trying desperately to get enough money to adopt two special needs children from Eastern Europe,but so far they lack the funds. These children are in danger, both physically and mentally and need to be moved ASAP!